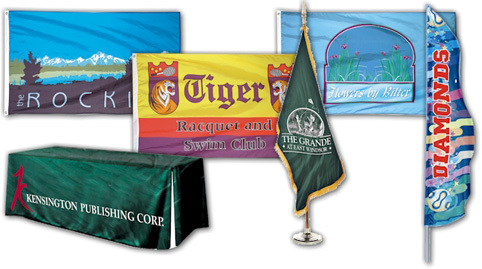 A custom flag or banner can effectively display your company or organization. 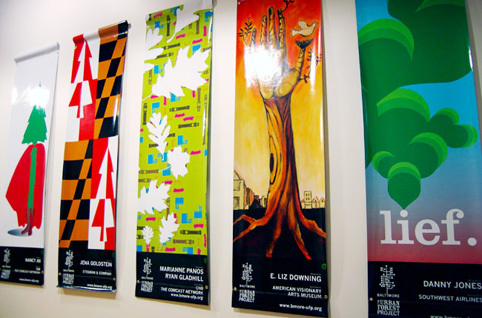 Custom flags and banners are great marketing tools to advertise information, through personal expressions and representations with flair and sophistication all at the same time. Appliquéd Process: This process uses a hand-stitched technique onto layers of fabric. The design is hand-cut to achieve a rich dimensional appearance. This process is the most labor intensive method but results in the top-of-the-line vivid and bold designs and it ensures the best durability of all the other processes. Vinyl Graphic Process: Vinyl graphic process uses either the printing or adhesive technique that will provide a fast and simple solution. This is the ideal method for low budget projects. Digital Print Process: This process also known as silkscreen technique using the latest technology and equipment. This is the ideal method to produce large volume projects. Embroidery Process: This process uses a hand-stitched technique onto an embroidered satin or twill fabric. This method is for indoor use only and most expensive to produce. However, embroidery is very beautiful and elegant.